Alexandria is located just outside of Washington DC, and is a community full of professionals that commute into DC for their jobs. 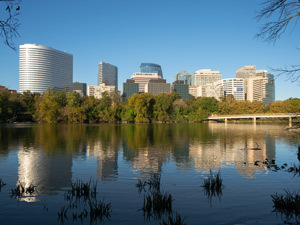 With a population of 115,810, the entire city covers about fifteen square miles and offers a unique environment of historic neighborhoods, such as the well-known city center known as Old Town that offers a variety of restaurants and shops that appeal to locals and is a popular tourist attraction. 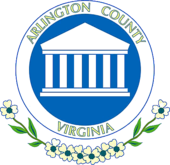 Alexandria homeowners enjoy the cool mild winters, and will cope with the hot humid summers that come with living in Northern Virginia. Alexandria is bordered by the Potomac River, and with the nearby river and wetlands, mosquitoes and other insects tend to thrive in the area. Spending time outside hosting a barbecue can be difficult if you are constantly worrying about applying bug spray or warding off mosquitoes, and when you consider that mosquitoes are known carriers for dangerous diseases such as West Nile Virus, then taking a proactive stance with eliminating them is your best bet. Fortunately the Mosquito Tek exterminators can clear your yard of mosquitoes and other harmful insects so you can enjoy time outside again with your family and pets. Even though spraying for adult mosquitoes is what most people associate with for an effective mosquito control treatment, it is also important to deal with the prevention of mosquito larvae developing into adults. At Mosquito Tek, this is addressed using a two-step process by the technician, who will first inspect your property identifying all areas where standing water exists, and empty any containers that contain water. For the second step of the process he will apply a larvicide to areas of where standing water naturally accumulates, such as ponds. 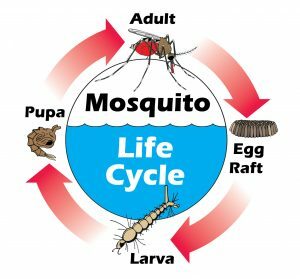 The larvae will eat the larvicide and die, thereby breaking the life cycle of the mosquito from developing into an adult. This will not affect other aquatic insects, fish, amphibians, or harm the local wildlife. At Mosquito Tek, there are two different treatment options for exterminating mosquitoes around your home or business. Each method will effectively and safely eliminate mosquitoes on your property, and if you’re not sure which treatment plan is right for you, your mosquito control technician can help you determine which option is recommended for your individual situation. For those that prefer an all natural ingredient insecticide, there’s the organic mosquito control treatment option that uses Essentria. This environmentally friendly product line is NOP compliant, and is considered safe to use on organic gardens, and it has no aquatic setback. It is also a good option for restaurants with outdoor dining, daycare centers, assisted living homes, or homeowners who simply prefer a gentle solution that will kill mosquitoes but have a low impact on the environment. This treatment needs to be applied every 14 days. For the most difficult mosquito infestations there is the conventional mosquito treatment option which uses the Talstar product line, which has a strong mosquito knockdown and has been voted the best mosquito insecticide for the last five years. It will need to be applied every 21 days. Every mosquito control customer is offered an optional low cost flea and tick control treatment upgrade that will also completely eliminate fleas and ticks as well as mosquitoes. Fleas and ticks can spread serious illnesses such as typhus, Rocky Mountain spotted fever and Lyme disease, so protecting your family and pets from their bites is an important layer of protection that will allow you to rest assured that your home or business is free of three of the most annoying and dangerous insects that inhabit your property. For customers that don’t choose to have a mosquito treatment done but still want to treat their yard for fleas and ticks, this spray treatment can be purchased as an individual service at a very affordable rate. 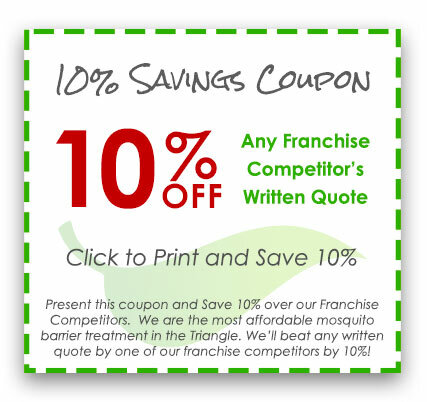 The Product Guarantee states that if you see a mosquito within 8 hours of your treatment, a technician will come out immediately to re-spray at no additional cost. Mosquito Tek is 100% confident in the quality of every product they use that they are willing to do the job again until you are 100% satisfied in the results. The Service Guarantee states that you can receive your money back if you are not satisfied with Mosquito Tek’s pest control service. Mosquito Tek takes pride in offering excellent customer service with each treatment and wants to make sure every customer receives the highest level of service in the industry. We can give you the mosquito-free yard you want while keeping your family safe. Are there are organic or all-natural mosquito treatments available? At Mosquito Tek, we offer an organic option that is safe for the environment and it is effective for up to two weeks. Our conventional treatment option is also safe and will work for up to three weeks. What are the active ingredients in your all-natural mosquito treatments? The active ingredients are a combination of rosemary oil, geraniol and peppermint oil. These are all naturally repellent to insects, but will be safe to use on plants and for wildlife in the areas. Inspect your property to assess and identify the insects that need treatment. Identify potential breeding sites on your property. Empty containers that contain standing water and apply a larvicide to prevent possible breeding sites. Spray for adult mosquitoes around your yard, along the tree-lined areas, the underbrush and your lawn. Are there discounts or coupons available at Mosquito Tek? We will beat any competitors price by 10%. There are community discounts available to encourage neighborhoods to work together to help control the mosquito population in the area. There is no charge for an estimate, but we will need to complete a physical inspection of your property to give you an accurate estimate. What happens if I see mosquitoes between the scheduled treatments? 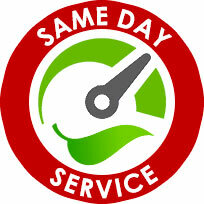 Call us right away if you see any mosquitoes, and we will re-spray at no cost to you. 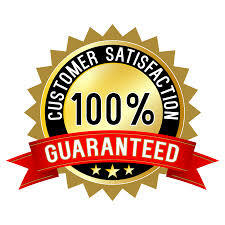 At Mosquito Tek, we value our customers, which is why we offer a 100% money back guarantee if you are not completely satisfied with your service. Our mosquito control program should eliminate all mosquitoes from your property. I’m planning a special event. Do you offer one-time treatment options? We offer one-time special event treatment options for everything from a neighborhood barbecue to a backyard wedding to a corporate event. The treatments will eliminate mosquitoes, stinging insects, flies and no-see-ums.